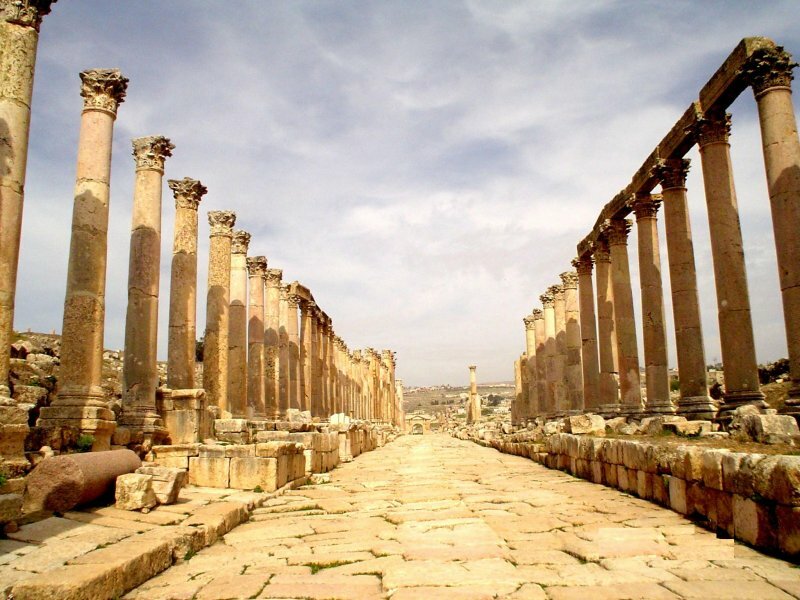 After breakfast, we will travel 40 km to the north of Amman, to Jerash City, known as Gerasa, the most complete and preserved Roman city in the world with its temples, theaters and colonnades. Next we travel to Anjara, where Jesus Christ, his mother Mary, and his disciples passed through and rested in a nearby cave now commemorated with the church of Our Lady of the Mountain. 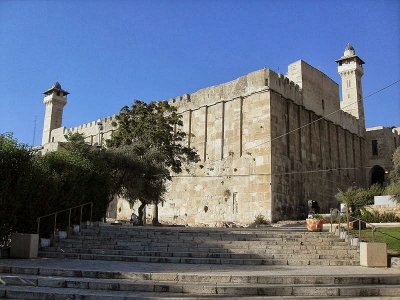 West to Ajlun, a very famous Castle built on the top of BeniOuf Mountain by the crusaders known as, Al-Rabadh Castle, has the foundations of a Christian Monastery. Tell Mar Elias where profit Elijah was born in, is half an hour drive from the castle. Both Tell Mar Elias and AnjaraMillinume 2000 pilgrimage sites designated by the Vatican.  We drive to Um Qais, Gadara, the Greco Roman ruins overlook the sea of Galilee ( Tiberius lake ) the Yarmouk River gorge, Syrian Golan heights, where Jesus Christ Met the two men possessed by demons emerged out from the tombs. We overnight in Amman for this evening. We will begin our day with the opportunity to be baptized at the Jordan River Baptismal Sites. The site where Jesus Christ was baptized by John the Baptist, known as Bethany Beyond the River ,modern-day Al-Maghtas or the Baptism Site. Here we visit also Elijah's Hill which Elijah is believed to have ascended to heaven on a chariot of fire. Then we will drive to the north, to Tululadh-Dhahab, Tell adh-Dhahab AL-Garbiyya ( The Western Golden Hill ) has traditionaly been taken as the site of Peniel, where Jacob wrestled with God & Tell adh-Dhahab AL-Sharqiyya ( The Eastern Golden Hill ) has been identified with biblical Mahanaim where David fled to. Then we will visit Deir Allah, the site of biblical Succoth, contained a shrine where the Balaam inscription was found at Tell Deir Allah in 1967. Then we will drive to the north to Pella, area has a record of semi-continuous habitation from the Stone Age untril the present day. The early Christians fled to Pella just before the fall of Jerusalem in AD 70. 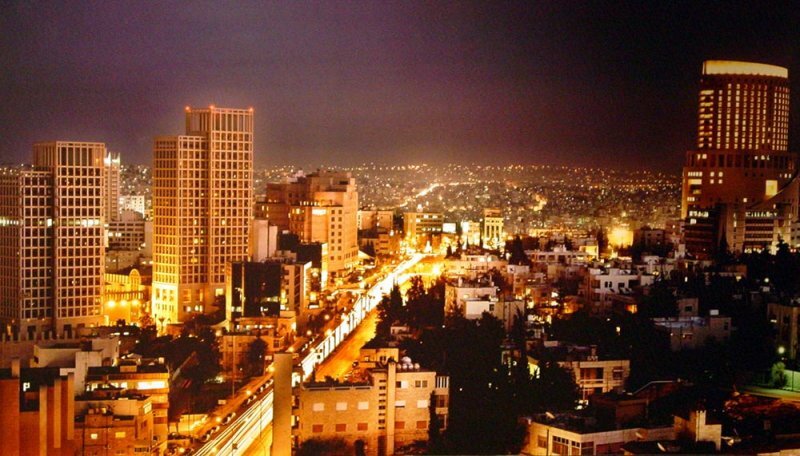 We will have dinner and overnight in Amman. We drive 40 minutes to the Queen of Mosaic, mentioned in the Old Testament as Medaba. Madaba is best known for its Byzantine and Umayyad mosaics and at the Greek Orthodox Church of St. George we view the 6th century AD mosaic map of the Holy Land. Afterwards we proceed to Mount Nebo, where Moses viewed the Holy Land of Canaan that he would never enter. He died and was buried in Moab in the valley opposite Beth-Peor but his tomb remains unknown. 46 km away from Mount Nebo is Machaerus (modern-day Mukawir), the fort of Herod Antipas, where he imprisoned and beheaded John the Baptist. Drive 32km south east Madaba to Um Al-Rasas, biblical Mephath, there is well fortified city, been built by the Romans with a complex of churches & a tower from the Byzantine period. 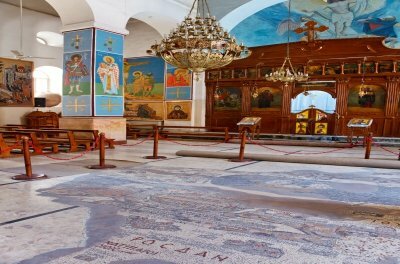 You will visit St. Stephan Church which is considered the largest of its mosaic to be discovered in Jordan and second only to the world famous mosaic map at Madaba. 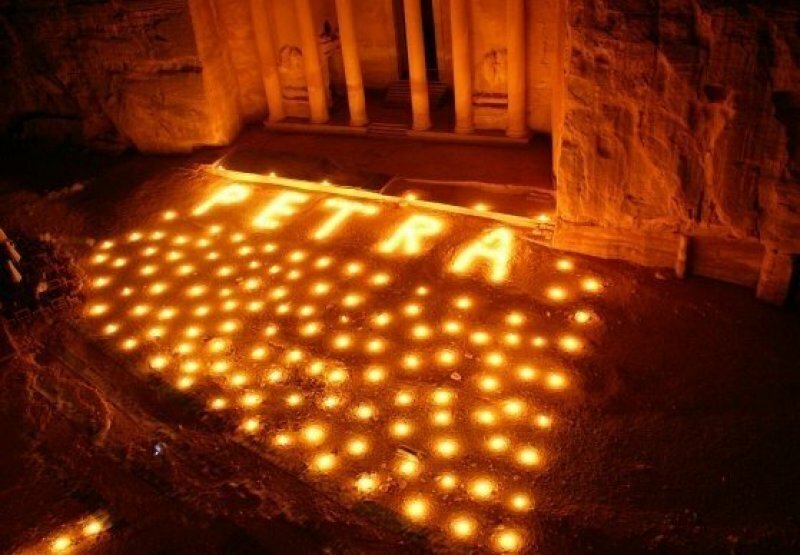 We will have dinner and overnight in Petra. An early morning visit to Petra, known to be inhabited by the Edomites, the descendants of Esau. Begin the tour with a walk through the "Siq" till we reach the most fabulous façade, The Treasury, El-Khaznah. Beyond El-Khaznah we are surrounded on both sides by hundreds of Petra's carved and built, caves, tombs, temples and facades tell we reach the colonnaded Roman Road and the Byzantine built churches. We overnight in Petra for this evening. We will start our visit to Kerak Castle, biblical in the early morning. It is a well-fortified castle been surrounded by trenches and valleys with a trapezoid shape, and consists of many floors to contain soldiers and their families, stone vaulted halls, endless passageways, churches, cathedrals, colonnaded streets, and fortified walls and towers, built in 1136, by Paganos, Lord of Shobak. We will drive along the King's High Way, the oldest continuously used communion rout, used to link ancient Bashan, Giliad and Ammon in the north with Moab, Edom, Paran and Midian in the south.During the Exodus the Israelites followed the King's High Way to the north on their way to the land of Canaan. Driver to the West, you will visit Lot's CaveinGhore Al-Safi biblical for Zoar, where Lot and his two daughters fled to after God fall his judgment on the people of Sodom and Gomorrah. A church been found in 1986, built in 7th century AD. 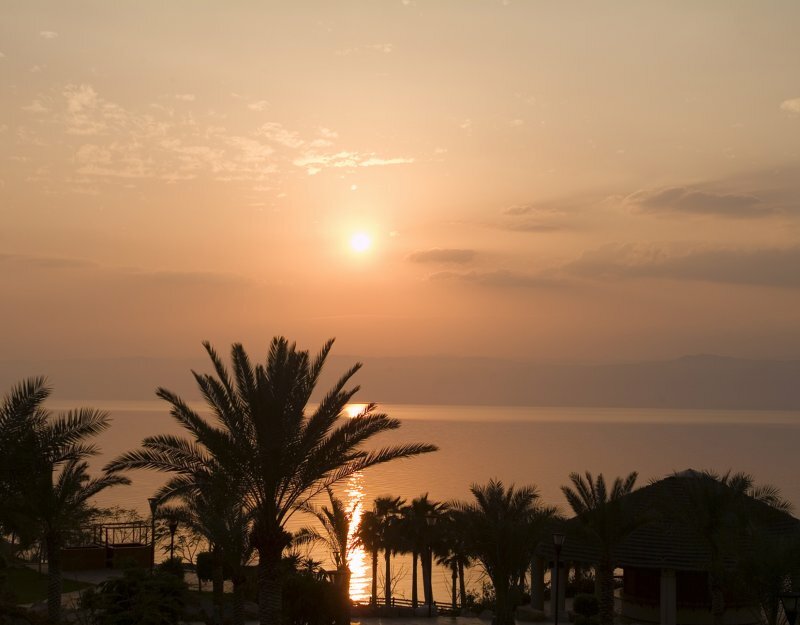 Afterward, you will have a leisure time while floating on the water of the Dead Sea. O/N in the Dead Sea for this evening. Our morning tour begins in the city of Amman, the biblical Rabath Ammon. Amman, the capital of Jordan, is a unique blend of old and new, known for its famous Citadel, museum & the 6,000 seat Roman Theater.